VIK Arena Blanca Punta Cana is a 4 star all inclusive resort set on the amazing Bavaro Beach. 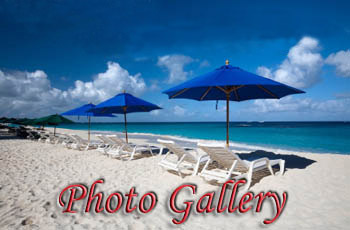 It offers you all the luxury, amenities and services typical of a Caribbean resort this rank. It is a small resort compare to other resorts in Punta Cana and it implies less crowds and lines. It is also great when the staff gets to know you after a few days. The resort is designed based on three main principles: luxury, comfort and entertainment and iIt aims to satisfy its guests’ needs. You will be amazed by the gorgeous lagoon-style pool. Lie on the white sandy beach and let the unique clear turquoise waters of the Caribbean cool you down. Watch the tides and enjoy your vacation in Paradise. The warm sun of the Caribbean, the breeze, the clear turquoise waters of Punta Cana white sandy beaches and VIK’s exceptional pool will make your soul feel rejuvenated. Water sports offered on the beach will add spice to your vacation. Enjoy a romantic getaway or give your kids as a gift their long-for family vacation. VIK is now the new owner of LTI hotels. In 2006, they renovated the resort and opened there Cayena Beach Club, a small, but beautiful and romantic 5 star resort within VIK and a new restaurant. Almost all rooms at Cayena Beach Club are oceanview. It is not so common nowadays to find an "oceanview" room, where you could be right at the beach when you leave your room. This section of the resort also includes its own private pool and some other benefits that will guarantee you an unforgettable getaway. These improvements are all meant to improve conditions at the resort and to favour its guests. VIK is a quaint, clean and beautiful 4 star resort that is worth considering on your next trip to Punta Cana. In the evenings, enjoy the resort’s romantic atmosphere and the wonderful view of the large pool lit up under the moonlight and surrounded by exuberant tropical gardens. You will love the effect of the moon light on these paradisiacal Caribbean blue waters and you will be delighted with all VIK’s amenities. During the day, you can soothe the heat away in the pool while watching your children playing in the kids’ pool. There are lots of palapas and lounge chairs around the pool and along the beach for you to relax. Enjoy the replenishing powers of the sun and the beach at VIK Arena Blanca. Apart from sports VIK Arena Blanca offers day and night live entertainment programmes to guarantee fun to everybody. There is also a Disco Fun Pub and a lot of dancing at VIK resort. The enormous Metamorphosis Spa Punta Cana, open to public in 2006, offers the most exclusive services. VIK offers guests a great amount of family rooms, which is an evidence of the resort’s management’s care for their guests’ needs. Family Suites are ideal for families with two or more children because they offer guests separate rooms for children and parents, which gives adults more privacy if they want to go to bed later. All rooms are very well appointed, so they suit all VIK’s guests’ needs. You can choose from one of the buffets or a la carte restaurants, which include Italian, Seafood, a pizzeria and international cuisine. A snack bar not so far from the beach offers you hot dogs and fries if you don’t want to leave the beach. Food at VIK is always fresh and delicious. The buffets offer guests a great variety of different dishes to please even the fussiest eaters. Food at a la carte restaurants is much better than what you can generally have at other four star resorts. VIK Arena Blanca’s white sandy beach bathed by clear turquoise waters and covered with slim coconut trees, that move to the rhythm of the gentle Caribbean breeze is an excellent place for your destination wedding. Beautiful settings for romantic dinners under the stars, full entertainment programs and friendly staff make of VIK Resort weddings the perfect place to switch off from every day stress and enjoy your stay. When you pick VIK Resort weddings, all-inclusive-weddings.com takes care of every detail. Consult our wedding packages , and if you need more information consult our planner . If you want a custom-made wedding keep in mind that Insert link is here to make of your wedding at VIK Resort an unforgettable experience.